Standing true to its vision of being an international centre of excellence, Indian Institute of Management, Calcutta was founded as the first national institute for Post-Graduate studies and Research in Management. Since November 1961, it has been a pioneer in producing ethical leaders in field of business, management and finance. The Government of India in collaboration with Alfred P. Sloan School of Management (MIT), the Government of West Bengal, The Ford Foundation and Indian industry, laid its foundation and in the last 6 decades it has maintained its stance as being one of the top Business Schools in India and in Asia. IIMC offers a variety of courses as part of their core curriculum along with advanced electives. The campus is a congregation of great minds excelling in academics, industry and research. Taught by a faculty at par with any top foreign B-School around the world, the campus offers a culture where students and faculty share lives and create the foundation of their lifelong relationships. 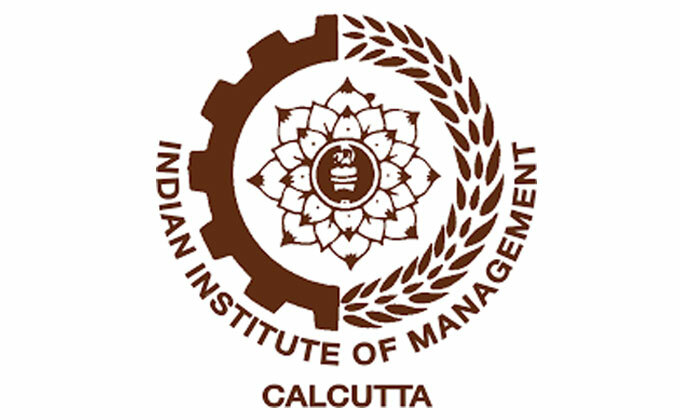 IIM Calcutta will also be the conducting authority for CAT 2018. IIMC has a bustling campus located in Joka, away from the hustle of the city spanning over 135 acres of land. Students are provided with Wi-Fi enabled classrooms, spacious conference rooms, labs, library and hostel rooms. Across the campus there is high-speed converged voice, data and video network. Apart from this, there are various clubs and cells like – adventure, dramatics, photography, entrepreneurship and finance to name a few. The infrastructures facilities help provide an overall development of the student. With various national and international level events like Intaglio - Annual international B-School meet, Carpe Diem – Annual cultural fest and finance and marketing conferences, students are provided an overall exposure. There are a variety of courses offered at IIMC which has helped in building some of the top notch scholars over the past few decades. The content of the courses is fine tuned over the years and imbibes in some of the core institutional values such as excellence, creativity, openness and diversity with synergy. The selection process for each of the courses is different from each other but the overall process is as mentioned above. The comprehensive courses offered at IIMC aim at producing innovative and ethical business leaders who can adapt themselves to the rapidly evolving global market. The placement records are a testament to this. The placement records are a balanced number when it comes to factors like gender diversity, educational background and work experienced of its students. Every year nearly 100+ recruiters of the likes like JP Morgan & Chase, HSBC, Amazon, Microsoft, Barclays and Pepsi visit the Joka campus to choose candidates. The 2016-18 batch saw around 219 final placement offers with the maximum CTC being 75 lakhs per annum and the mean CTC being 24.2 lakhs per annum. Indra Nooyi, Chairman & CEO Pepsi Co.